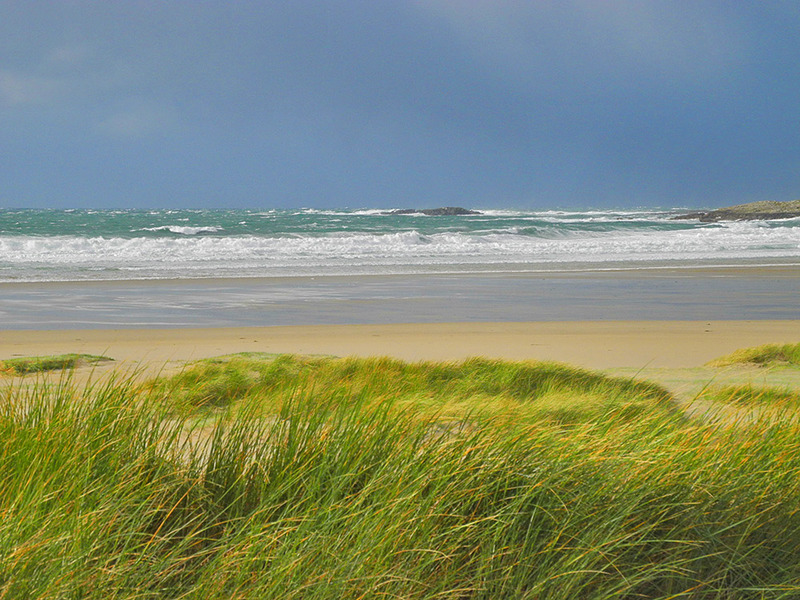 A view out to sea over Machir Bay from the dunes at Kilchoman on a breezy November morning on Islay. Eilean an Tannais-sgeir in the centre, Coull Point towards the right. This entry was posted in Beaches, Cloudy Weather, Landscape, New Post, Sunny Weather and tagged Coull, Eilean an Tannais-sgeir, Islay, Kilchoman, Machir Bay, Rhinns of Islay by Armin Grewe. Bookmark the permalink. @islayblog ghost rock island. Or something like that, maybe. @fifikinrocks sounds feasible, thank you.